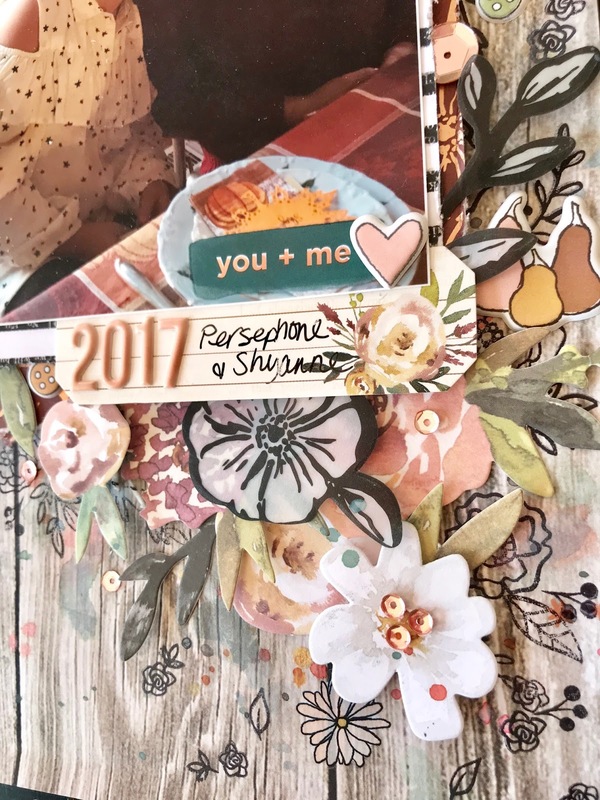 Hi, friends...Heather here to share a scrapbook layout with you...Its still Summer, but this time of year, I am counting the days until fall! I love fall..it is my favorite season....therefore, I couldn't wait any longer to use the gorgeous Auburn Lane collection from Pink Paislee...This collection was released a couple of months ago and can be used for any occasion, but there are definitely fall accents and the colors are beautiful! The picture is of my two daughters sitting at our dining table last year on Thanksgiving...My husband hosted dinner that year and I love presenting the food on a festive table! 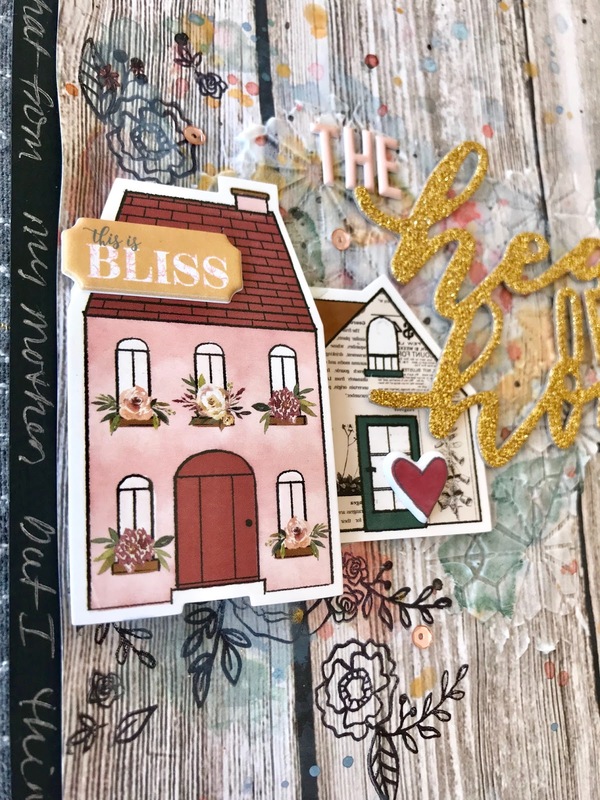 The background is a Kaisercraft wood grain patterned paper from my stash and fits right in with the dusty fall colors of this collection. I added a layer of clear gesso and then started on my mixed media background...now, anyone who likes to create mixed media backgrounds knows that in the end, most of it is covered by the photo and embellishments, but I like the way it peaks out from behind it all. I used several Distress Oxide inks with a paint brush to add color as well as splatters. It was a little bit of a challenge to find inks that matched exactly, but Tattered Rose, Iced Spruce, Stormy Sky, and Evergreen Bough work well. I actually mixed Evergreen Bough and Black Soot to create the dark teal color in the rub on sentiment to the bottom right of the photo. So don't be afraid to play with your inks to achieve the color you are after! After the mixed media is dry, you can start adding embellishments and your photo. I matted my photo on a couple of patterned papers from the 6 x 8 paper pad. To create texture and interest to the background, I spread some embossing paste through the Echo Park Picnic Blanket Stencil..yes, the name of the stencil doesn't fit the theme of my page, but the pattern is gorgeous and not really theme specific. Once that was dry, I stamped floral and leaf images from the Honey Bee Country Bloom stamp set with Archival black ink. 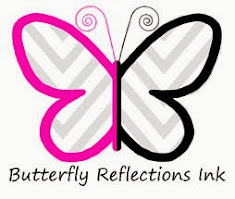 because the flower stamps remind me of the flowers in embellishments from this collection. I use Archival black ink because it is waterproof and won't smudge. This collection also includes Puffy Stickers and Rub Ons and would have put all of them on my layout if I could! I used a couple of flowers, hearts, and tiny images from the rub ons and love the flat detail it adds. I used a handful of the puffy stickers including the hearts, buttons, and a sentiment. Honestly, I have the hardest time with puffy stickers because I love them so much! I want to use them, but don't want to because they will be gone....who knows that feeling?? I know, I know..crafty problems! The Auburn Lane Floral Emphemera pack of flowers are absolutely to die for! There is a mix of cardstock die cut flowers, vellum with black flowers die cuts, and vellum with rose gold flowers die cuts as well as leaves in all different shades. I created clusters of these flowers surrounding the photo and tucked in several leaves. To make sure the flowers and leaves have some dimension, only add a little bit of liquid adhesive on the edge of the die cut. To take it a step further, add a little piece of fun foam or pop dots to the edge so it doesn't flatten out when put into a page protector. 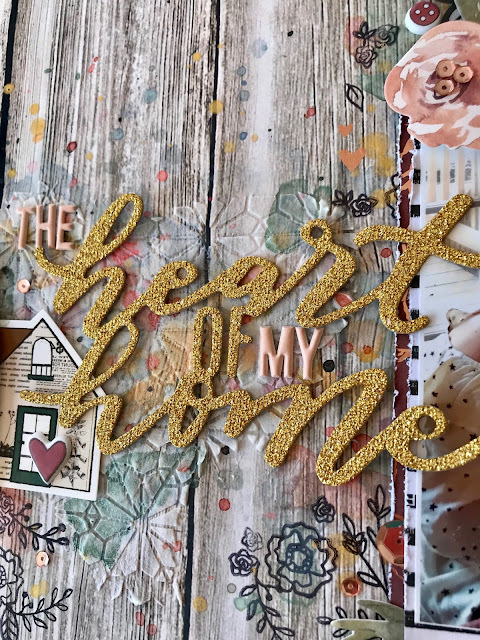 I created my title using one of the phrases from the Pebbles Heart of Home gold thickers and added the words "the" and"my" from the Pinkfresh Peach Alpha Puffy Stickers from my stash. I felt as though adding those words made the title more personal to me. I also added the year with those same peach alpha stickers to a sticker label underneath my photo. To tie in to the sentiment of my title, I used the houses from the 6 x 12 Accent sticker sheet and popped up one with fun foam. To finish up, I added some splatters of Heidi Swapp Gold Color Shine and adhered some Pretty Pink Posh Rose Gold sequins with my Precision Tip applicator and Glossy accents. 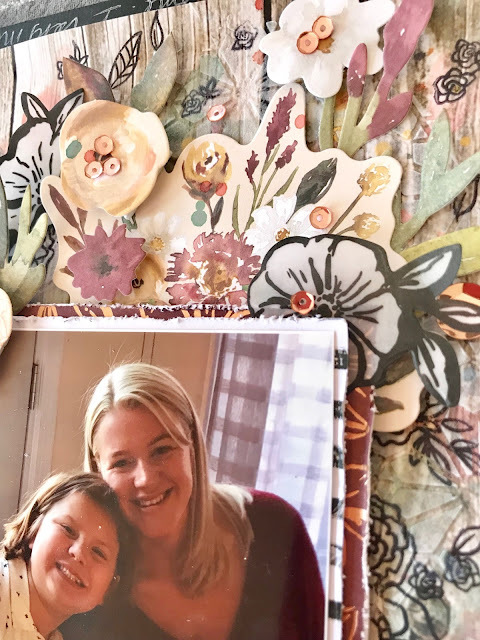 Thanks so much for taking the time to read about my project today and hope you are inspired to dive in to fall (even though its technically still Summer) and get crafty today! To get these products in your hands, head over to the shop now before they are gone!